COME AND NETWORK AS YOU PITCH YOUR BUSINESS TO OPEN UP NEW MARKETS IN THE UNITED KINGDOM & AFRICA. Short Business Presentations and Show Cases. EXIBITIONS ON THE DAY-Come and see whats on the market and great business opportunity for YOU!!! Click here for more beneficial info on this event. "RUN INTO SUCCESS WITH WMOC"
JOBS AND BUSINESS OPPORTUNITIES START HERE! ALL COURSES ARE OFFERED HERE. The Award in Education and Training course is now available for those wishing to become qualified teachers/trainer. Simply click here to open a free E-Learning Account initially, and view all the courses. Become a qualified trainer and teacher by starting with us at WMOC. The college takes on distance learning students nationally in the United Kingdom and internationally via our partnership programmes, therefore, you can study in the comfort of your home and also have an option of attending some of our sited sessions either via tutor led sessions in comfortable location near your home or via skype sessions which can be at a designated centre or just within your home if you have the technological access. The Open College is designed for people to have maximum and unlimited access to to Further Education and Higher Education of quality both accredited with exam boards and bespoke professional development programmes. 1. Entrepreneurship and Leadership Training by the Wolverhampton University in Conjunction with West Midlands Open College, 25th November 2017, Click here for more information. 2. University Foundation Courses will be introduced very soon. Watch out for the updates. Who can benefit by the College Courses? The College targets all wishing to further their education and those wishing to continually develop themselves through CPD workshops in any discipline that is listed on our course page, we also design bespoke courses to meet the learning needs of corporations and groups of individual. The ethos is that not at any time should any one be left out to have a chance for further education(FE) and higher education(HE) including professional development. Entrepreneurs and Leaders of any sector and background are supported through long and shorter term courses. With the state of art online learning system and via live link, we are able to do seminars and run run courses effectively. Candidate do not have to ravel to our centres in the UK. We have broken the barrier of distance and one can speak live to our tutors and lecturers. The West Midlands Open College delivers professional courses to the commonwealth commission sponsored fellows. The current fellows are hosted by the Lifegate Centre Communities in Walsall. This year 2015 is the second year in delivering the core components of development courses that are adding value to the scholars' career and development to their country of origin, when they return at the end of the programme. Click here and follow the story of this year's May to July 2015 journey of the scholars. Are you thinking of a choice for special destination to acquire effective development with your commonwealth scholarship application? Consider the life and experience of Yetunde from Nigeria, in the year 2014. Click here for more. West Midlands Open College has that experience to give you that professional boost in any area of your discipline interest. The department of Education invites you try the IQA courses. Create an account by Clicking here for a free course taster and learn about Jesus the Saviour. Continue to browse by clicking here. CONTACT 01922 277 667 FOR MORE INFORMATION: PASS YOUR GCSEs, DEVELOP YOUR KEY STAGES 1 and above. PARENTS CLICK HERE!! Jean Claude, ' I have new ideas because of WMOC.' click here to read more. To help more candidates, kindly click here and make a donation. Chille Kamfwa, " I am happy with West Midlands Open College"
Yinka, says, "This was my first academic vocationally organised course I have attended since leaving school. In Nigeria I straight went to do business in print media and as a young person-saw that there was a gap in Youth and Sport from a business perspective, in Nigeria. 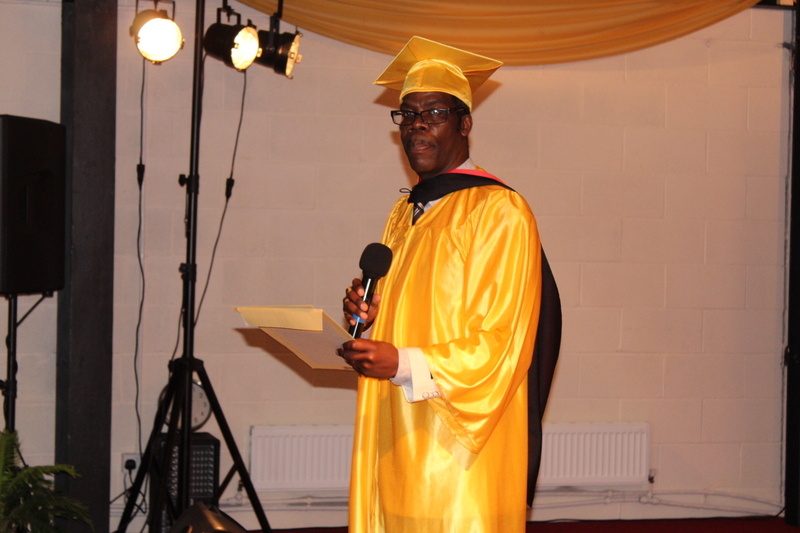 Therefore, choosing to study at West Midlands Open College for Entrepreneurship with a bias to Diaspora Management, on my commonwealth scholarship scheme, was a grand choice. I look forward to collaborate when I return to Nigeria". 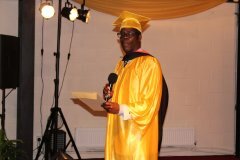 1st January 2017, Graduation at The West Midlands Open College, at Lifegate Satellite Centre, in Walsall. Diversity Learning Institute(DLI), Hambourg, Germany. Using the West Midlands Open College system has helped many refugees gain momentum in the Deutsch Language. The accreditation of the course under West Midlands Open College has enabled the candidates evidence their learning. Our centre in Hambourg since being accredited West Midlands Open College delivery centre, has added mobility in course out put and employ-ability for those candidates on the WMOC Deutche course. In Germany, the Deutsch Language is an important language to enter into the job market and business development. DLI says thank you West Midlands Open College(WMOC). 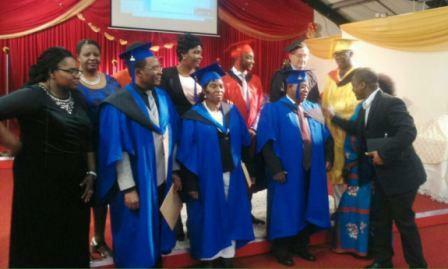 The John Lukomona Scholarchip Scheme(JLSS) for Entrepreneurs. Dr John Lukomona is a family man, community leader and college principal, he wishes to help and support the many African business men and women who have creative business ideas. The ideas he calls them real estate. Knowledge and ideas are the only permanent structures that can move with a person from one location to another. These are assets and they need to be nurtured for effective delivery. Therefore, Dr Lukomona invites you to join the scheme. John Lukomona Scholarship Scheme by Distant Learning, is now available. Accessed through the West Midlands Open College. Visit this section to download special articles on various topics. ARE YOU LOOKING FOR A COURSE THAT SUITS YOUR NEEDS? ACCREDITATION BUT CAN ADDRESS YOUR KNOWLEDGE NEEDS. Telephone: +441922 277 667, United Kingdom, Headquarters. West Midlands Open College welcomes all candidates from any background. Applications are reviewed on merits based on the conditions of applications set in the college terms and conditions.